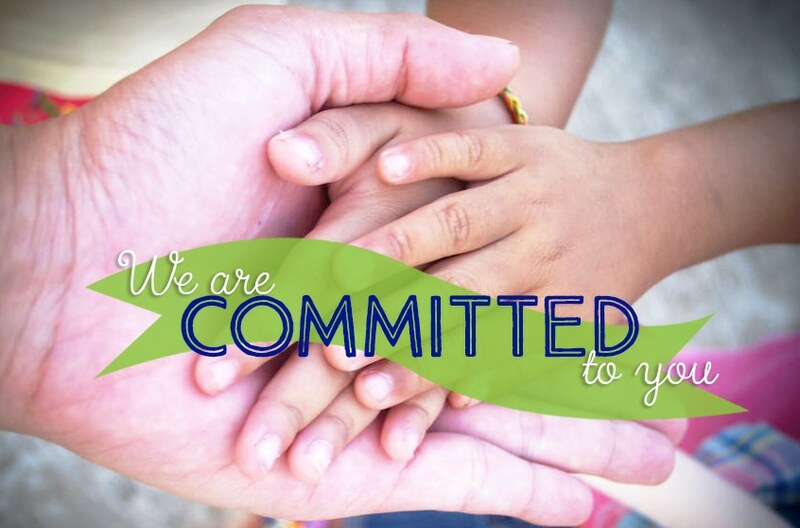 Children's Bureau, Inc. values the importance and worth of all individuals, families, and communities. The agency continually strives to embrace and demonstrate appreciation of diversity. Diversity includes gender, sexual orientation, sexual identification, religion, race, culture, social status, age and disability. Cultural competence occurs when an agency or organization becomes effective in dealing with and working with individuals from different racial, ethnic and cultural backgrounds. This requires basic cultural knowledge and ability to adapt practice skills to fit the needs of clients within their cultural context. Children's Bureau, Inc. pledges to provide services and programs to individuals and their families in a manner that is sensitive and respectful of diverse cultures. If you are not eligible for services based on state policy, you must follow the approved procedure for appealing this decision outside of this grievance process. Complete contracts entered into with your worker/agency. Failure to follow these expectations will result in termination of services. Call your assigned worker. If your worker is not available, please leave a detailed voicemail message letting your worker know that you would like to speak with them about a concern that you have. The worker is expected to schedule an appointment with you within 5 working days. Your worker is responsible for putting the concern in writing, reading it back to you to verify correct information, and gathering signatures on the document. You will need to indicate on the signed document whether the concern is resolved or unresolved. If the concern cannot be resolved in conversation with your worker, the document will be forwarded on to the program director; this is considered the filing of a formal grievance. It is your worker's responsibility to forward the document to the program director and the program director's responsibility to schedule an appointment with you within 7 working days. The program director is responsible for putting the grievance in writing, reading it back to you to verify correct information, and gathering signatures on the document. You will need to indicate on the signed document whether the grievance is resolved or unresolved. If your grievance is not resolved, it will be forwarded to the Vice President of the program. It is the responsibility of the program director to contact the Vice President (VP) of the program that you are receiving services from. It is the responsibility of this person to schedule an appointment with you within 10 working days. The VP of the program is responsible for putting the grievance in writing, reading it back to you to verify correct information, and gathering signatures on the document. You will need to indicate whether the concern is resolved at this step or unresolved. If your grievance is not resolved, it will move to the next step. If your concern cannot be resolved with the vice president of the program you are receiving services from, your grievance will be forwarded to the Chief Executive Officer. It is the responsibility of the vice president of the program that you are receiving services from to forward your concern to the Chief Executive Officer. It is the responsibility of Chief Executive Officer to schedule an appointment with you within 10 working days. Your grievance will be discussed and reviewed at this time. The Chief Executive Officer shall be the final level of formal grievance and all decisions made will be considered final. If you are unhappy with the final outcome of the grievance, you may file a complaint with an external regulatory entity. THIS NOTICE DESCRIBES HOW PROTECETD HEALTH INFORMATION ABOUT YOU MAY BE USED AND DISCLOSED AND HOW YOU CAN GET ACCESS TO THIS INFORMATION. PLEASE REVIEW IT CAREFULLY. Your health information -- which means any written or oral information that we create or receive that describes your health condition, treatment or payments -- is personal. Therefore, we pledge to protect your health information as required by law. We give you this Privacy Notice to tell you (1) how we will use and disclose your "protected health information", or "PHI" and (2) how you can exercise certain individual rights related to your PHI as one of our patients. Please note that if any of your PHI qualifies as mental health, alcohol and drug treatment, communicable disease or genetic test records, we will safeguard it as "Special PHI" that will be disclosed only with a valid court order or your prior express written authorization. (A) To Provide Treatment. We may use and disclose your PHI to provide, coordinate, or manage your health care and any related services. This includes the management or coordination of your health status and care with another health care provider. Other departments within Children's Bureau may also access your PHI in order to coordinate your care. We may also disclose your PHI to Business Associates with whom we share information in order to assist them in providing your services. An example of this would be, another physician who may be treating you or consulting with us regarding your care. (B) To Obtain Payment. We may also use and disclose your PHI, as needed, to obtain payment for services that we provide to you. This may include certain communications to your health insurer or health plan to confirm (1) your eligibility for health benefits, (2) the medical necessity of a particular service or procedure, or (3) any prior authorization or utilization review requirements. We may also disclose your PHI to another provider involved in your care for the other provider's payment activities. For example, this may include disclosure of demographic information to another health care provider who is involved in your care, or to a hospital where you were recently hospitalized, for payment purposes. (C) To Perform Health Care Operations. We may also use or disclose your PHI, as necessary, to carry on our day-to-day health care operations, and to provide quality care to all of our patients, but only on a "need to know" basis. These health care operations may include such activities as: quality improvement; physician and employee reviews; health professional training programs, including those in which students, trainees, or practitioners in health care learn under supervision; accreditation; certification; licensing or credentialing activities; compliance reviews and audits; defending a legal or administrative claim; business management development; and other administrative activities. In certain situations, we may also disclose you PHI to another health care provider or health plan to conduct their own particular health care operation requirements. (D) To Contact You. To support our treatment, payment and health care operations, we may also contact you, either by telephone or mail, from time to time (1) to remind you of an upcoming appointment date, (2) to inform you of potential treatment alternatives or options, or (3) to inform you of health-related benefits or services that may be of interest to you, unless you ask us, in writing, to use alternative means to communicate with you regarding these matters following your initial visit with us. (E) To Be In Contact With Your Family or Friends. Additionally, we may also disclose certain of your PHI to your family member or other relative, a close personal friend, or any other person identified by you from time to time, but only if the PHI is directly related (1) to the person's involvement in your treatment or related payments, or (2) to notify the person of your physical location or a sudden change in your condition, while receiving treatment at our office. Although you have a right to request reasonable restrictions on these disclosures, we will only be able to grant those restrictions that are reasonable and not too difficult to administer, none of which would apply in the case of an emergency. (F) To Conduct Research. Under certain circumstances, we may use and disclose certain of your PHI for research purposes, but only if the research is subject to special approval procedures and the necessary rules governing uses and disclosures are agreed to by the researchers. For example, a research project may compare two different medications used to treat a particular condition in two different groups of patients by comparing the patients' health and recovery in one group with the second group. (G) To Coroners, Funeral Directors, and for Organ Donation. We may disclose PHI to a coroner or medical examiner for identification purposes, to determine cause of death or for the coroner or medical examiner to perform other duties. We may also disclose PHI to a funeral director in order to permit the funeral director to carry out their duties. PHI may also be disclosed for organ, eye or tissue donation. To Avert Serious Threat to Health or Safety: We may disclose PHI when we have a "duty to warn" under state or federal law, because we believe that it is necessary to prevent or lessen a serious and imminent threat to your health or safety or to the health and safety of the public or another person. When There Are Risks to Public Health. We may disclose your PHI to (1) report disease, injury or disability; (2) report vital events such as births and deaths; (3) conduct public health activities; (4) collect and track FDA-related events and defects; (5) notify appropriate persons regarding communicable disease concerns; (6) inform employers about particular workforce issues; or (7) product recalls. To Report Suspended Abuse, Neglect Or Domestic Violence. We may notify government authorities if we believe that a patient is the victim of abuse, neglect or domestic violence, but only when specifically required or authorized by law or when the patient agrees to the disclosure. To Conduct Health Oversight Activities. We may disclose your PHI to a health oversight agency for activities including audits;civil, administrative, or criminal investigations, proceedings, or actions; inspections; licensure or disciplinary actions; or other activities necessary for appropriate oversight, but we will not disclose your PHI if you are the subject of an investigation and your PHI is not directly related to your receipt of health care or public benefits. For Law Enforcement Purposes. We may disclose your PHI to a law enforcement official to, among other things, (1) report a death that is believed to be the result of criminal activity; (2) identify or locate certain individuals; (3) report limited information if you are the victim of a crime or if your health care was the result of criminal activity, but only to the extent required or permitted by law; (4) in response to a court order, subpoena, warrant, or summons; (5) in emergency circumstances to report a crime, the location of a crime or victims, or the identity of the perpetrator of the crime; or (6) to a correctional facility if necessary for your health and the health and safety of others. In the Event of a Serious Threat to Health or Safety, or For Specific Government Functions. We may, consistent with applicable law and ethical standards of conduct, use or disclose your PHI if we believe, in good faith, that such use or disclosure is necessary to provide protection to the President or other government persons. For Worker's Compensation. We may disclose your PHI to comply with worker's compensation laws or similar programs. (J) With Your Prior Express Written Authorization. Other than as stated above, we will not disclose your PHI, or more importantly, your Special PHI, without first obtaining your express written authorization. Please note that you may revoke your authorization in writing at any time except to the extent that we have taken action in reliance upon the authorization. (K) Fundraising Activities. We may use your PHI to contact you in an effort to raise money or disclose PHI to foundations related to Children's Bureau so that the foundation may contact you. Disclosed PHI will be limited to name, address, phone number, and dates of service. (L) Military and Veterans. We may disclose your PHI as required by military authorities. We may also disclose PHI about foreign military personnel to the appropriate foreign authority. (A) The Right to Inspect and Copy Your PHI. You may inspect and obtain a copy of your PHI that we have created or received as we provide your treatment or obtain payment for your treatment. Under federal law, however, you may not inspect or copy the following records: psychotherapy notes; information compiled in reasonable anticipation of, or for use in, a civil, criminal, or administrative action or proceeding; and PHI that is subject to a law prohibiting access. Depending on the circumstances, you may have the right to request a second review if our Privacy Officer denies your request to access your PHI. Please note that you may not inspect or copy your PHI if your physician believes that the access requested is likely to endanger your life or safety or that of another person, or if it is likely to cause substantial harm to another person referenced within the information. As before, you have the right to request a second review of this decision. To inspect and copy your PHI, you must submit a written request to the Privacy Officer. We may charge you a fee for the reasonable costs that we incur in processing your request. (B) The Right to Request Restrictions on How We Use and Disclose Your PHI. You may ask us (1) not to use or disclose certain parts of your PHI for the purposes of payment if your care is paid in full out of pocket, (2) not to disclose your PHI to certain family members or friends who may be involved in your care or for other notification purposes described in this Privacy Notice. (C) The Right to Request Amendments To Your PHI. You may request that your PHI be amended so long as it is a part of our designated record set. All such requests must be in writing and directed to our Privacy Officer. In certain cases, we may deny your request for an amendment. If we deny your request for amendment, you have the right to file a statement of disagreement with us and we may respond to your statement in writing and provide you with a copy. (D) The Right to Receive an Accounting. You have the right to request an accounting of those disclosures of your PHI that we have made for reasons other than those for treatment, payment and health care operations, which are specified in Section III(A-C) above. The accounting is not required to report PHI disclosures (1) to those family, friends and other persons involved in your treatment or payment, (2) that you otherwise requested in writing, (3) that you agreed to by signing an authorization form, or (4) that we are otherwise required or permitted to make by law. As before, your request must be made in writing to our Privacy Officer. The request should specify the time period, but please note that we are not required to provide an accounting for disclosures that take place prior to April 14, 2003. Accounting requests may not be made for periods of time in excess of six years. We will provide the first accounting you request during any 12-month period without charge. Subsequent accounting requests may be subject to a reasonable cost-based fee. (E) Right To Request Confidential Communications by Alternate Means: You have the right to request that we communicate with you in a certain way or at a certain location. For example, you can ask that we contact you at work by mail only. To request confidential communications, please complete the appropriate request, sign it, and give it to your worker. Please note that we are only required to agree to those restrictions that are reasonable and which are not too difficult for us to administer. We will notify you if we deny any part of your request, but if we are able to agree to a particular restriction, we will communicate and comply with your request, except in the case of an emergency. Under certain circumstances, we may choose to terminate our agreement to a restriction if it becomes too burdensome to carry out. Finally, please note that it is your obligation to notify us if you wish to change or update these restrictions after your visit by contacting the Privacy Officer directly. (F) The Right to File A Complaint. You have the right to contact our privacy officer or the Department of Health and Human Services if you feel that your rights have been violated. All complaints must be in writing. We will not take any action, or otherwise retaliate, against you in any way as a result of filing a complaint. We reserve the right to change this notice. We reserve the right to make the change in notice effective for current PHI. The new notice will be posted in each facility with an effective date for that policy update. If we amend or revise a notice, a copy of that notice will be sent to you.